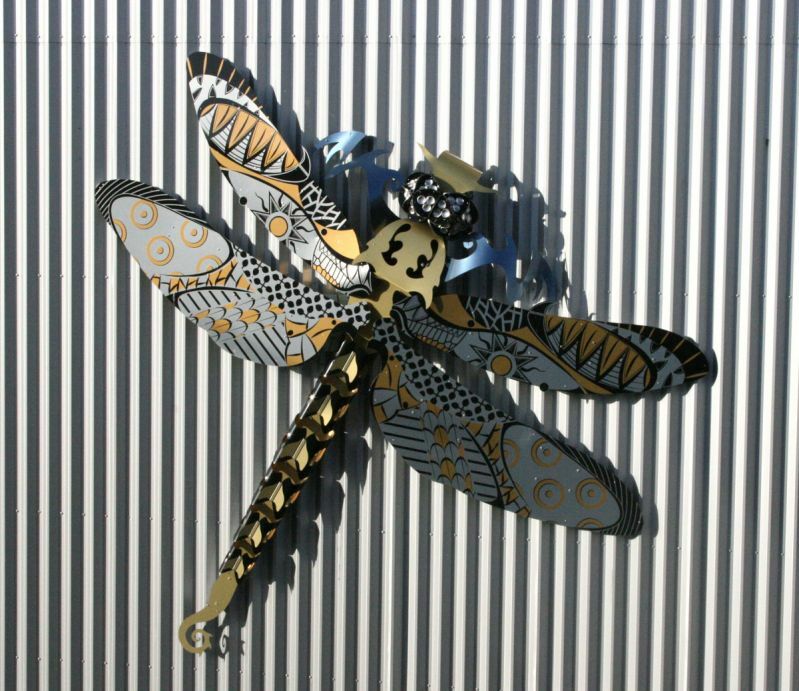 Designed by artist Lucy Williams of Lucid Design, along with artist Chris Hawkins and Amy Douglas, these Dibond/Alucobond dragonflies were part of an open competition to design artworks for a recycling center. Like many public facilities, aesthetics are not always the focal point in their architectural design. The competition including over 40 entrants and was established to add artistic value to these visually uninteresting buildings. The project fabricator, NES Solutions, specified the Dibond material. It was chosen for its lightness of weight, malleability, and consistence in quality. The largest dragonfly has a wingspan of nearly 20 feet. Interestingly, the wings utilize Alucobond ACM, our partnering material, while the bodies of each insect use Dibond. The Alucobond material was chosen for the wings due to its rigidity from the thicker aluminum material used. 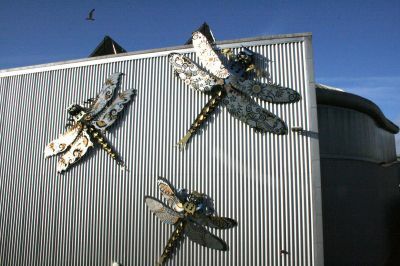 The use of metal materials, with some recycled parts, gives this industrial building a unique artistic twist.